Nutrition labels on food packages are so full of numbers that it can be overwhelming and confusing to try and decipher them. 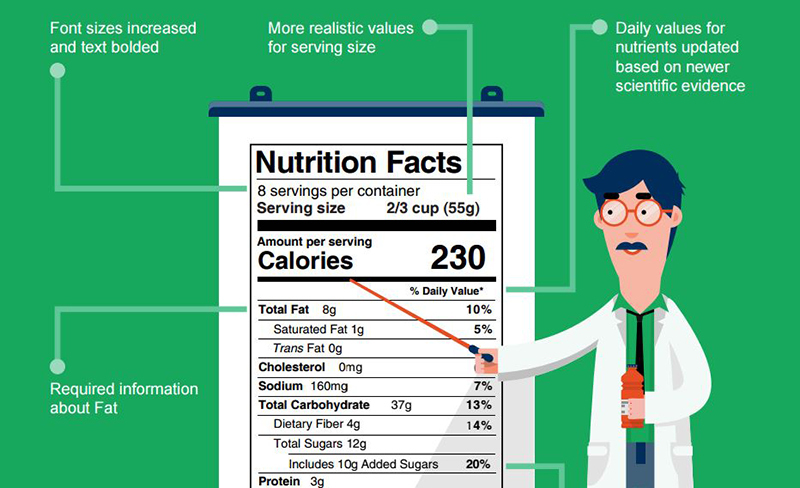 Here’s a line-by-line guide to the items on the Nutrition Facts label, which is found on the back or bottom of all packaged foods. 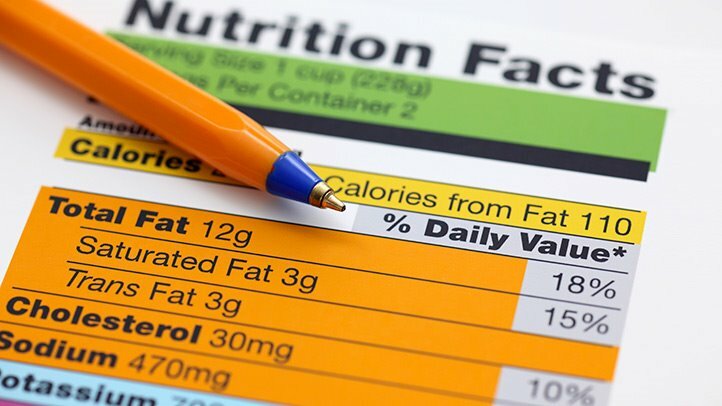 Everything listed on the Nutrition facts label (the three main nutrients are carbs, fat and protein) is what makes up the calorie count. SERVING SIZE. When looking at a nutrition label, you need to check the serving size 1st. Many foods and beverages contain more than one serving. For example, a 1-liter bottle of juice or cola, contains 5 servings of 200 ml each. And a 100 gm pack of peanuts offers as many as three to 4 servings of 25 to 30 gm each per pack. DAILY VALUE. The nutrition label provides the percent of the Daily Value (%DV) based on the recommended amount of specific nutrient. However, the %DV is usually calculated on a 2,000-calorie-per-day diet, which is too high for most consumers. In other words, you have to know the amounts of nutrients, such as calories, total fat, and sodium, you need each day and do your own addition and subtraction.Some nutrients, such as trans fats, mono- and polyunsaturated fat, sugars, and protein, do not have a %DV because a Daily Value has not been set for these items. CALORIES. If you need to lose weight, calories are key. However, you need to look at where the calories come from; some high-calorie foods are nutrient-dense (e.g., potato chips, cookies). The “2,000-calorie-per-day diet” is not a healthy target number for most people, as the average adult only needs about 1,600 calories or less per day. TOTAL FAT. This is the sum of all the types of fat found in the food, including saturated, trans, monounsaturated, and polyunsaturated. While too much fat is unhealthy, your body needs some fat to help absorb vitamins A, D, E and K, and to aid in the absorption of many other nutrients (see chart). SATURATED FAT. This type of fat contributes to plaque buildup in arteries and increases the risk of heart attack and stroke. Saturated fat is predominant in beef, pork, poultry, milk, cheese, paneer, ghee and butter. Saturated fat should be limited to seven percent or less of your daily calories – which means 15 grams or less for most people (see chart). TRANS FAT. 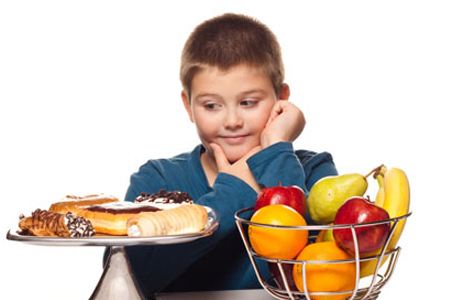 Trans fat is worse than saturated fat; limit intake to less than two grams per day. Processed foods are the main sources of trans fat. If the words “partially hydrogenated” appear on the ingredient list, the product contains trans fat, regardless of what the label says. POLYUNSATURATED FAT. This is one of the healthy fats that helps lower LDL (“bad”) cholesterol. Some poly fats are omega-3s (found in fatty fish, walnuts, and seeds like methi, mustard, flaxseed) while others are omega-6s (found in safflower, sunflower, corn, soybean oils). Consume more omega-3s than omega-6s. MONOUNSATURATED FAT. This is the healthiest type of fat found in foods; it lowers bad LDL and raises good HDL. Consume more monounsaturated fats from foods like mustard, olive and canola oils than polyunsaturated fats. Groundnut, rice bran and sesame oils are moderately high in monounsaturated fats. All nuts, including almonds and groundnuts (aka peanuts), contain these good fats. CHOLESTEROL. Limit cholesterol intake for people with heart disease to 200 mg or less per day, and 300 mg or less for others. If you limit your saturated fat intake, you will automatically limit your cholesterol intake, because the two are typically found together in animal foods. SODIUM. Sodium, a component of salt, is vital for balancing fluid volume and carrying nerve signals in our bodies. Currently, the guideline is no more than 2,300 mg/day. If you have High Blood Pressure a maximum of 1,500 mg/day is recommended. POTASSIUM. Potassium helps keep sodium in check by causing the kidneys to excrete excess sodium. It plays a critical role in heart and muscle contractions and the digestive system. The recommended daily intake of 4.7 gm of potassium per day. TOTAL CARBOHYDRATES. Carbs are your body’s main energy source. Eat more complex carbs (whole grains, lentils, beans) and limit simple carbs from processed foods – mostly in the form of added sugar and refined grains. DIETARY FIBER. Daily recommendation is 20 to 35 gm per day. Breads and cereals made with whole grains are good sources of fiber; look for a minimum of 5 gm per serving in cereals and 2 gm per slice of bread. SUGARS. This number includes both naturally occurring sugars, like those in fruit and milk, and sugars that are added to the product. One teaspoon of sugar equals 4 grams, so if the food contains no natural sugars and the nutrition label lists the sugars content at 16 grams, it’s equivalent to four tsp of sugar. Diet experts recommend a maximum of six tsp (100 calories) a day for women and nine tsp (150 calories) a day for men. PROTEIN. Protein supplies the body with amino acids, which are the building blocks of bones, enzymes, hormones, and neurotransmitters. General recommendations are 50 gm of protein per day for women and 60 gm per day for men.